X-431 ADAS is the automotive equipment destinated for ADAS sensor, camera and radar recalibration of ADAS driver assistance systems. It works together with a compatible Launch scaner of X-431 series. If in the car with any kind of ADAS (advanced driver assistance systems) like as based on front camera (front collision warning, high beam assistant, lane departure warning, traffic signal recognition, etc. ), allaround 360´ vision system, adaptive cruise control (based on radars built-in in the front bumper) and other systems, has been exchanged the windscreen, repaired or exchanged the camera or any radar, or as well has been exchanged the front bumper, then there will be neccesary apply the basic calibration with the ADAS calibration equipment and compatible scanner to recalibrate the assitance systems. The recalibration process is a vitally necessary job after any repair works to provide maximum security for car driver and passengers in the future trips. 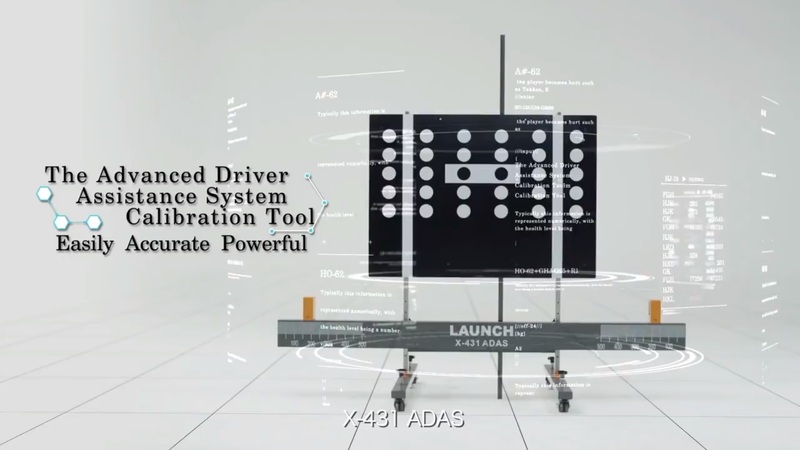 X-431 ADAS is the newest equipment for ADAS cameras, radars and sensors calibration. Together with the compatible professional diagnostic equipment Launch, it allows to re-calibrate cameras, radars and sensors of ADAS systems. 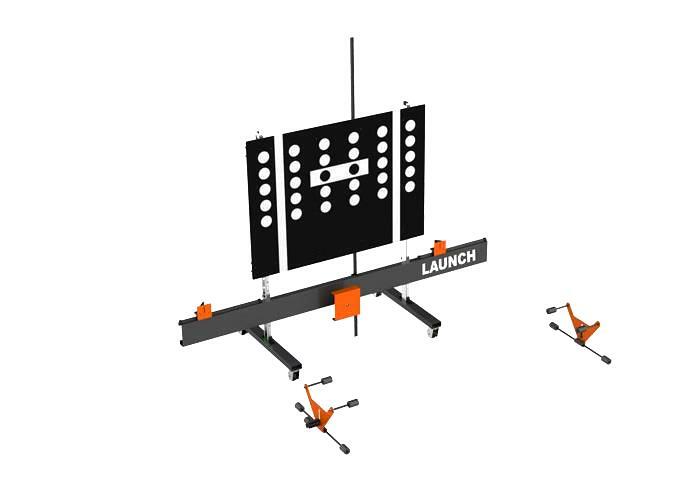 With all available calibration and reflector panels correctly installed in position, X-431 ADAS allows the operator to ensure the system calibration to be carried out quickly and accurately as OE (Original equipment) level. 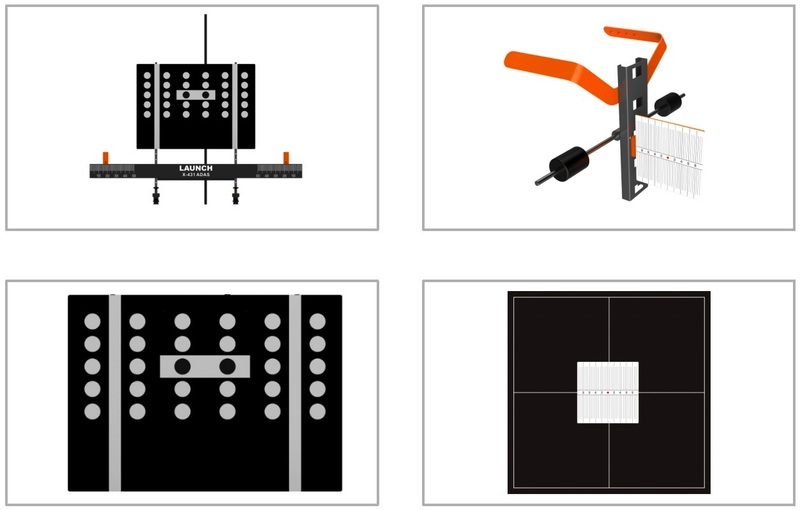 X-431 ADAS is suitable for any professional workshop, including repair body shop, glass repair shop and many others, to provide the professional re-calibration for the ADAS cameras and radars, when the sensors have been removed, replaced or repaired. At the moment, if you own this set together with a compatible diagnostic equipment, it is the grate opportunity to make a new separate type of business! MERCEDES-BENZ, BMW, AUDI, VW, HONDA, ACURA, TOYOTA, LEXUS, NISSAN, INFINITI, RENAULT, HYUNDAI, KIA, ALFA ROMEO, MAZDA, SMART, DAIHATSU, SUBARU, SUZUKI, PORCHE, CADILLAC, FORD and others. - lane departure warning and assist system. - traffic signal and lane recognition. - 360' arround view monitoring.